DETROIT—On the eve of the 2018 North American International Auto Show in Detroit, Volkswagen unveiled the newest generation of its compact 4-door sedan. 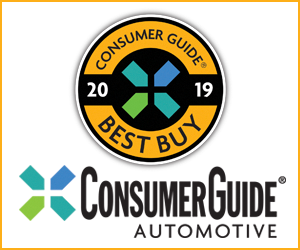 The redesigned 2019 Jetta is slightly wider, taller, and longer than the previous model, and the wheelbase grows from 104.4 inches to 105.7—all of which improves interior room. The new Jetta is based on Volkswagen’s MQB architecture, which also underpins the new-for-2018 Tiguan compact SUV and Atlas midsize SUV. The 2019 Jetta’s sole engine at launch will be Volkswagen’s turbocharged 1.4-liter 4-cylinder, which puts out 147 horsepower and 184 pound-feet of torque. A 6-speed manual transmission is standard, and an 8-speed automatic is optional on the base model and standard on higher trim levels. A fuel-saving engine stop/start feature is standard on automatic models. The model lineup will ascend through VW’s standard S, SE, SEL, and SEL Premium trim levels. A sporty R-Line model will include unique interior and exterior trim and Volkswagen’s XDS electronic torque-vectoring differential. A full roster of available safety features includes forward collision warning with autonomous emergency braking, lane-departure warning, blind-spot monitor with rear cross-traffic alert, and an automatic post-collision braking system. 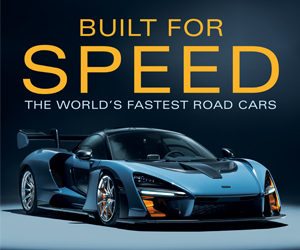 Options include the Volkswagen Digital Cockpit virtual gauge cluster, 10-color customizable wrap-around ambient interior lighting, heated and ventilated leather seats, a panoramic sunroof, and a 400-watt BeatsAudio stereo system. The 2019 Jetta is scheduled to go on sale in the second quarter of 2018. 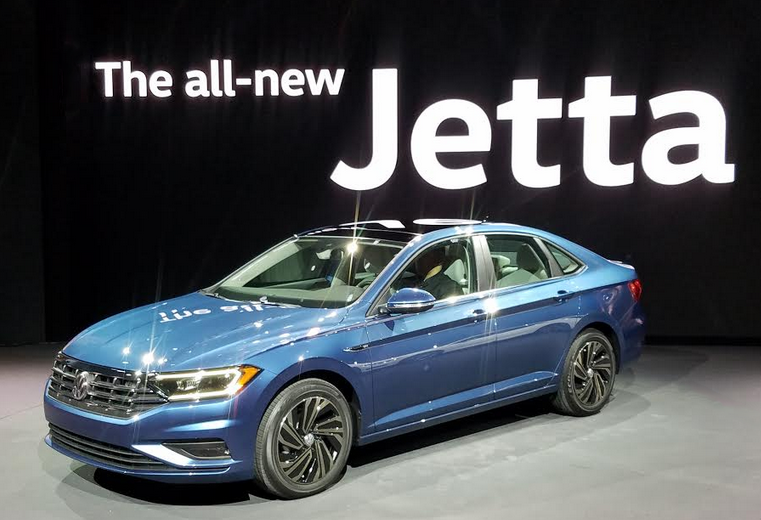 Volkswagen didn’t supply complete pricing, but stated that the new Jetta will start at $18,545—less than the outgoing base model. This one looks like a winner to us. The current-generation Jetta was already one of the most spacious vehicles in its class, and the new model’s cabin is even more commodious. The new Jetta looks to have the same upscale Euro feel of its Tiguan and Atlas siblings—it offers aluminum wheels, LED lighting, and VW’s App-Connect system as standard equipment—but the low starting price suggests that Volkswagen is aiming to keep its MSRPs very competitive across the board. Written by: Damon Bell on January 14, 2018.on January 17, 2018.